An innovative formula of concentrate milky lotion, enriched with Lycopene Tomato Extract and skin nutrients from natural essences, including UV Protection for lightened, clear and smooth skin with a healthy glow. Its light texture is fast-absorbing and non-greasy. 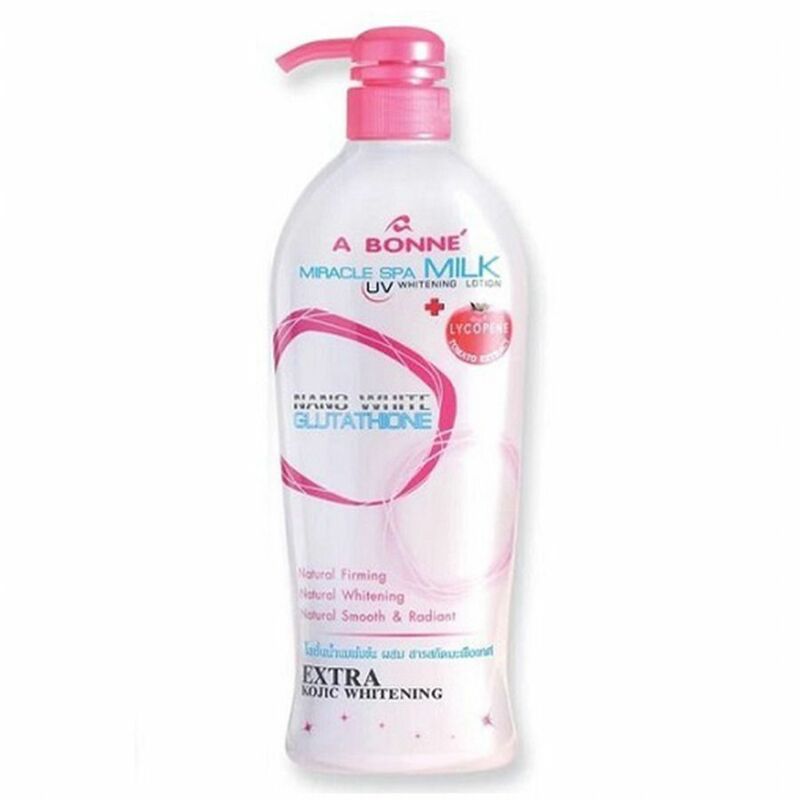 MILK PROTEIN moisturizes skin, rendering it irresistibly soft, smooth and supple. NANOWHITE GLUTATHIONE reduces dark spots and slows down pigmentation, lightens skin tone naturally. KOJIC prevents melanin formation, conditions skin so that freckles and dark spots gradually fade away, revealing clearer skin. TOMATO EXTRACT is rich with LYCOPENE which fights free radicals, prevents wrinkles, keeping skin soft and smooth. Direction: Apply A Bonne' Miracle Spa Milk UV Whitening Lotion all over the body. Skin will become radiant and its tone will be naturally lightened after daily use.